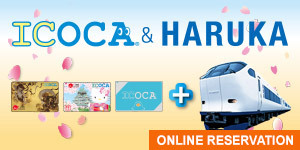 Introduction of great tickets deals for traveling to west Japan, coupons, etc. 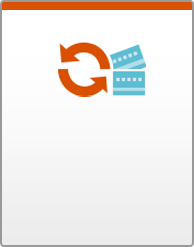 ◎New Station ｢Umekoji-Kyotonishi｣ is opened! 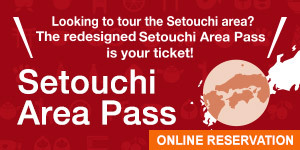 Direct access to Kyoto Railway Museum! 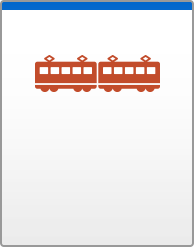 ◎New Line ｢Osaka Higashi Line｣ ! Speedy connection from Shin-Osaka to Nara! Please travel to West Japan Area with more convenience! Unlimited rides using JR within the designated area! Take a wide swing through the Setouchi Area! Bus and boat tickets are included. 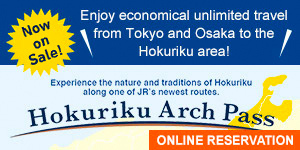 Enjoy economical unlimited travel from Tokyo and Osaka to the Hokuriku area! 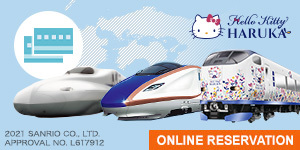 Unlimited rides on JR trains and buses from Nagoya or Osaka! 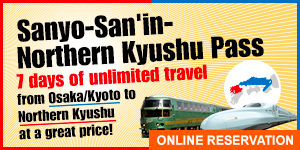 7 days of unlimited travel from Osaka/Kyoto to Northern Kyushu at a great price! Kindly refer to the following information on our ticketless boarding service [Smart EX]. 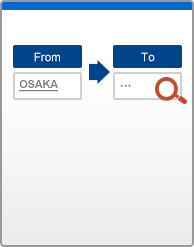 It allows you to reserve and pay on Tokaido-Sanyo Shinkansen train tickets before visiting Japan.